The EuropeanaPhotography project ended 31st of January 2015. 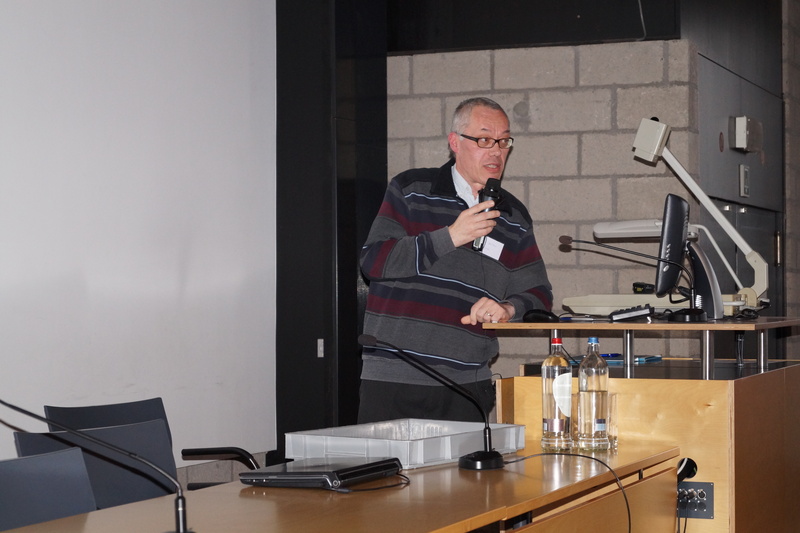 To mark the occasion, we organized a two-day conference in Leuven on Thursday 29 and Friday 30th of January, under the theme “The Impact of Digitization on Photographic Heritage: Memories Reframed“. 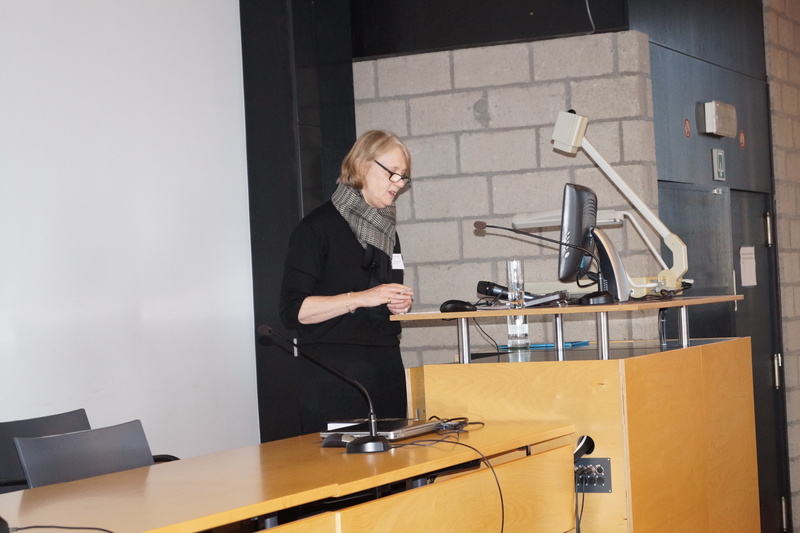 The conference opened with a keynote by Elizabeth Edwards on “Shifting Assemblages: Scale, Scope and Intensity in the Practice of History“. Elizabeth took mass digitization to task with a plea for “close reading” inspired by Moretti. Using examples of colonial photography, she showed the importance of a careful, historical look at the different meaning layers in photos. The lecture kicked off a series of lectures that all seemed to revolve around the issues addressed in the keynote, as an unfolding, spiralling dialogue that kept everyone glued to his seat until the end of the first day. A nothing short of brilliant overview of early photography by John Balean of TopFoto was followed by Fred Truyen’s explanation of the choices made in EuropeanaPhotography, where the possibilities of digitization to “reframe” and rediscover the early photos were discussed. Indeed, the enlarged, crystal clear reprints in the exhibition, with blistering dynamic range and razor sharp detail, obtained by directly processing the information from the glassplate have little to do with the nostalgic, somewhat yellowish appearance of original prints. After an overview of the project by Antonella Fresa from Promoter srl, the afternoon was a mix of lectures and “collection pitches”, in which partners displayed their contributions to the total of 430.000 images that EuropeanaPhotography contributed to Europeana. Prof. Jan Baetens caught attention with his provocative lecture “Against Crowdsourcing”, in which he highlighted some serious issues in the quest to gather crowdsourced input, as is now hyping in many digitization projects. 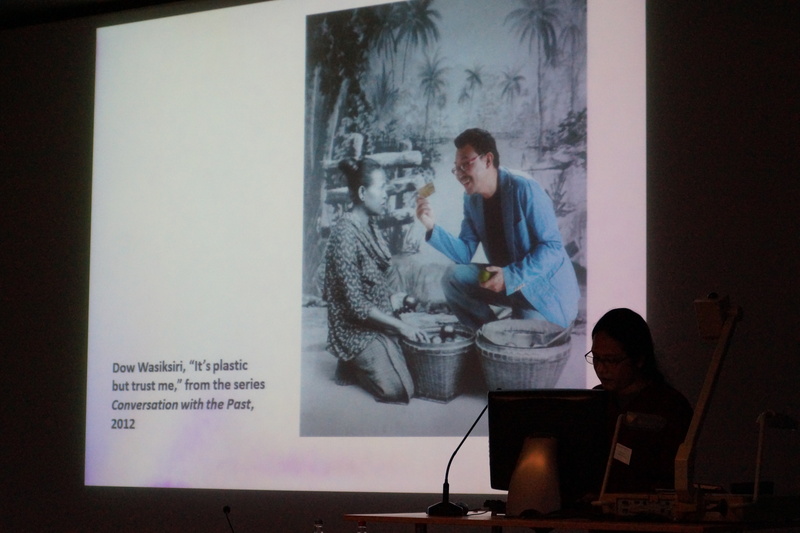 While Stephen Brown and David Croft showed a smart algorithm to search for similar images in a collection, Alexander Supartono stunned the audience with his “Re-Visiting the Colonial Archive in the Era of Web 2.0“, where he showed how Indonesian artists re-appropriate colonial heritage in an unsettling way that undoubtedly must come as a shock to many archivalists: current Indonesian people are superimposed on colonial pictures, disclosing and disrupting the colonial setting. A better vindication of Elizabeth’s keynote was difficult to imagine. More so, it is a perfect example of the innovative “creative reuse” that Europeana wants to stimulate! At the end of this long day Joanna Zylinska’s enthousiasm and rethorical talent gave the audience a much needed energy boost. Her Photomediations project is a very convincing example of Open publishing and how this unleashes new creativity. During the day collections were presented by TopFoto, Lithuanian Art Museums, IMAGNO, CRDI, Parisienne de Photographie, Arbejdermuseet ,United Archives and Gencat. Read more about EuropeanaPhotography on DigitalMeetsCulture.net. This entry was posted in Digital Humanities, Europeana. Bookmark the permalink.